New Heroclix, Dice Masters, and Attack Wing! Posted: Thu Nov 17, 2016 3:56 am Post subject: New Heroclix, Dice Masters, and Attack Wing! Today we've got fresh, new swag for three awesome Wizkids games! 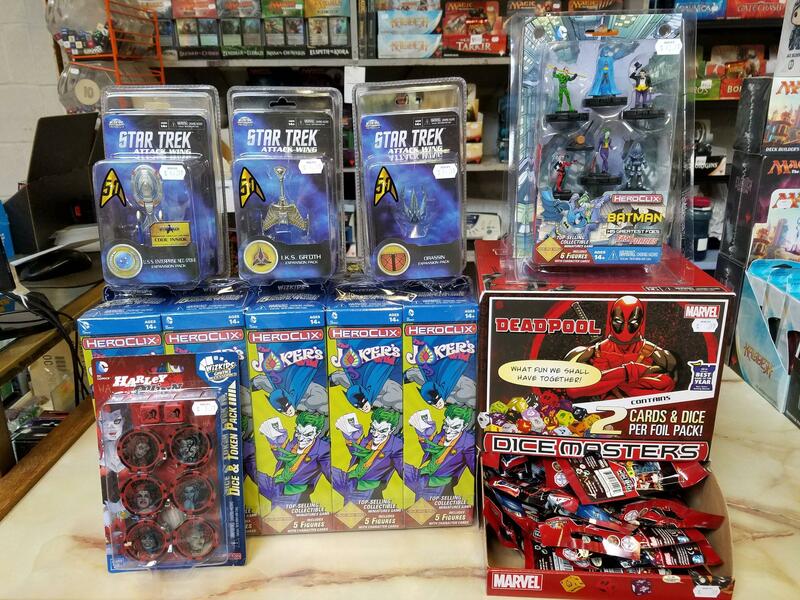 There's the new Joker's Wild boosters (and booster bricks), Batman Fast Forces, and Harley Quinn Dice & Token pack for Heroclix, new Deadpool gravity feed boosters for Dice Masters, and three new expansion packs for Star Trek Attack Wing. Stop by the store to check out these great new additions along with our whole, excellent selection of Heroclix, Star Trek Attack Wing, and Dice Masters!